It’s a great time to be a Kingdom Hearts fan. With Kingdom Hearts 3 finally having the confirmed final release date of January 29, 2019, Square Enix has been increasingly showing trailers and new footage of all of the new worlds to keep the hype train going. 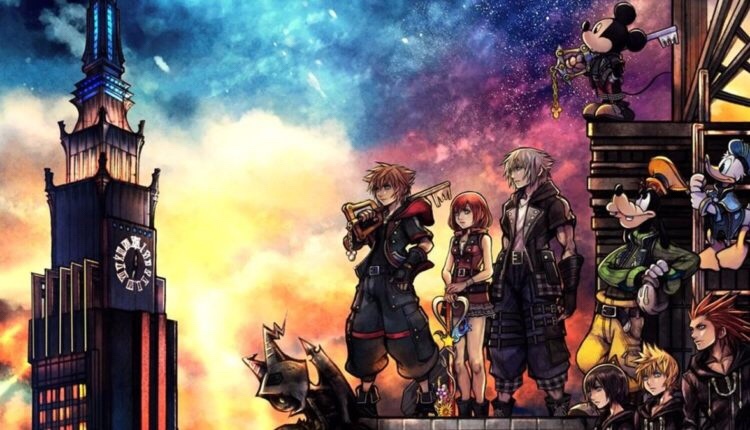 The first trailer was primarily focused on the story, adding some much needed information on the overall plot, and the eventual Keyblade War. Fans are shown more information on some of the worlds, and a major part in the beginning is of one of the new worlds, Big Hero 6. It shows some scenes of Sora, Donald, and Goofy talking with the characters, and included is a touching scene where they sit on a bridge and talk. Suddenly, Sora looks like Roxas for a moment, and he looks around and sees Hayner, Pence, and Olette, his “friends” in Twilight Town. That scene is immediately followed up with new scenes in worlds such as Pirates of the Caribbean, Frozen, and others. This is then followed up with Sora taunting Larxene with the fact that they have their 7 lights, and they don’t have their 13 darknesses that they need. She says that they, in fact, do have their 13, to Sora’s immediate surprise. Along with this, we are shown that some of the members of Organization XIII appear to have let themselves be possessed by Xehanort, namely Demyx. Data Riku appears, taunting Sora, along with Vanitas looking over Ventus with wonder, and a quick shot of Aqua who has been overtaken by darkness. Viewers then see Lea being surprised by the appearance of what looks like Saix (who was thought to be dead. ), and Lea crying at the appearance of what looks like Roxas, in his Organization XIII coat, wielding the Oblivion. Overall it was a lot of news to take in, and definitely gets me excited, if not a little worried (I don’t want anything bad to happen to Roxas.) for what will happen to the characters in the story. Not too long after this trailer, TGS had an entire section on Kingdom Hearts 3 and showed various sections of the different worlds, including part of a boss battle in the Toy Story world with a haunted doll. But most importantly, they showed Dark Aqua, which means yes… Sora does have to fight her. There will be more news in the future, but for now, this is certainly more than enough to hold us fans’ over until the next information drop.